First of all, holy whoa, 424 pieces for $30? Can that be right? That's crazy! All of the 2-in-1 boxes picture the more, erm, "creative" model as the main model. That's not to say that the other one is secondary exactly, but the whacky and kind of unappealing one is all front and center. The back shows both models more equally. It seems to highlight those awful mini-catapults and not the flick-fires. Which is better? Maybe the catapults. Names make figures seem special, right? Well, there's nothing exclusive about our knights, but Sharon Shoehorn is exclusive. There are no numbered bags in these sets because once you build one model, you couldn't have numbered bags when building the second one anyway. With a lot of parts, that actually makes the build kind of lengthy. Here are all the parts for the Castle wall/flying thing, for your interest. 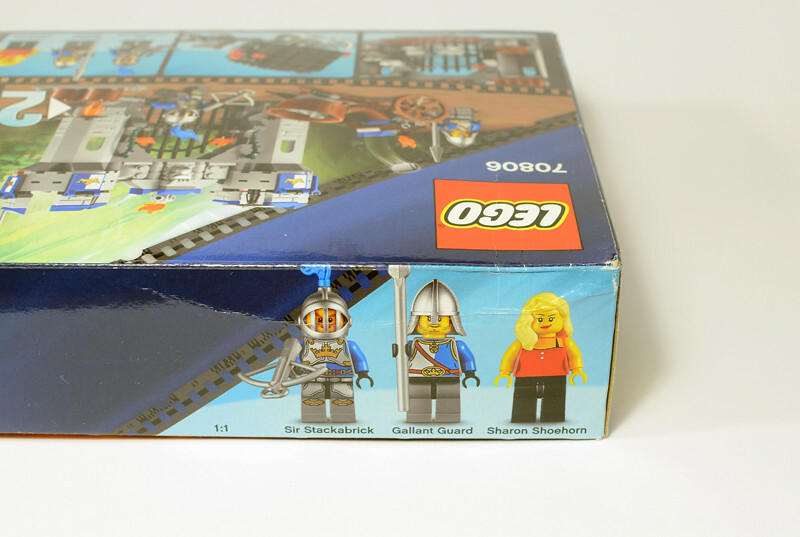 Not a bad castle parts pack really, but nothing revolutionary. 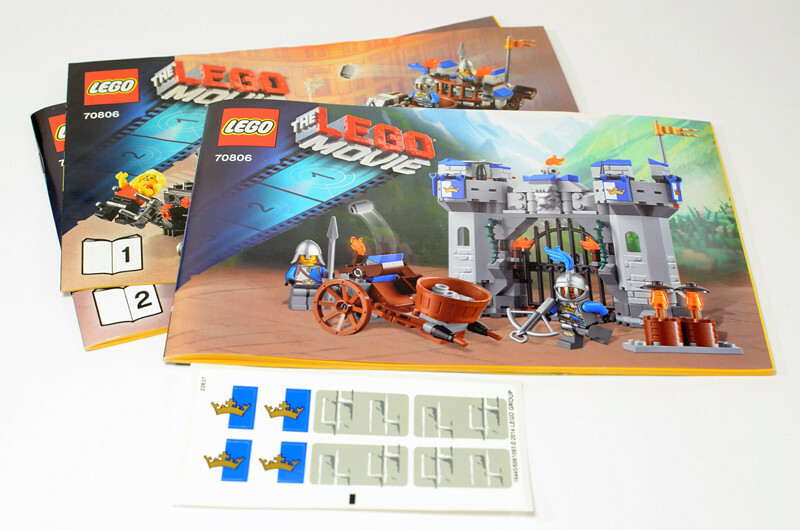 There are three booklets: two numbered ones and one that builds the wall model. The first slim numbered one builds the robot, while the second builds the flying thing. I didn't take a picture of the inside; it's fairly standard. The sticker sheet is not too bad here. As I said, most of these will be nothing new to anybody into Castle. None of the latest castle line interested me, so these are my first of these guys, and they're pretty nice for what they are. Still, compared to the more interesting city figures in other sets, I understand why these aren't much to write home about. Sharon Shoehorn's torso actually looks like it comes from the '80s besides for the modern "shapely" printing. I do love Sharon's second exp<b></b>ression, and the knight's is a good one, if not new. Everybody has a bit of nice backprinting. This particular Micromanager isn't my favorite; they're cuter with legs. This is the only one with wheels, but it doesn't roll all that well. The hand is super big, and can grab minifigures very well. You sometimes need to balance it on the big hand for it to not fall over. Since it rolls, it's got to have some tail lights in case it's caught in traffic. The wheels do fold up into it, but then I'm not sure what you're supposed to do with it. And here is our flying machine. This one is pretty ok. It's reminiscent of a podracer, which makes it decently fun to swoosh. There are no controls, but it's already ridiculous so… oh well. The color scheme is pleasant and castle-y. This one does easily convey taking a castle and turning it into a flying machine. From the side, it still looks alright. Silly of course, but alright. The "engines" have some firey exhaust coming out, which is a fun touch. The set features the only way to make flick-fires tolerable - by having something else push them out. They still don't work well, but they're better. There's plenty of ammo for the little catapults, if you care to use those. The way the fence piece is attached using skeleton arms is cool, and is actually the same in the secon model, as we'll see. 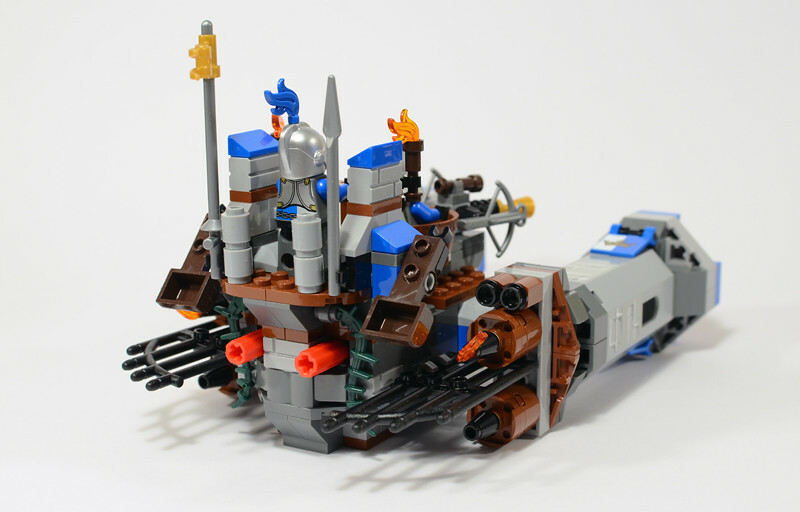 Overall, this model has enough guns and the fun engines, so it's not too bad. First up is actually the sub-builds. Here are two little light things. They look nice, but are also the type of thing that aren't so necessary. They seem to just be there to eat parts. 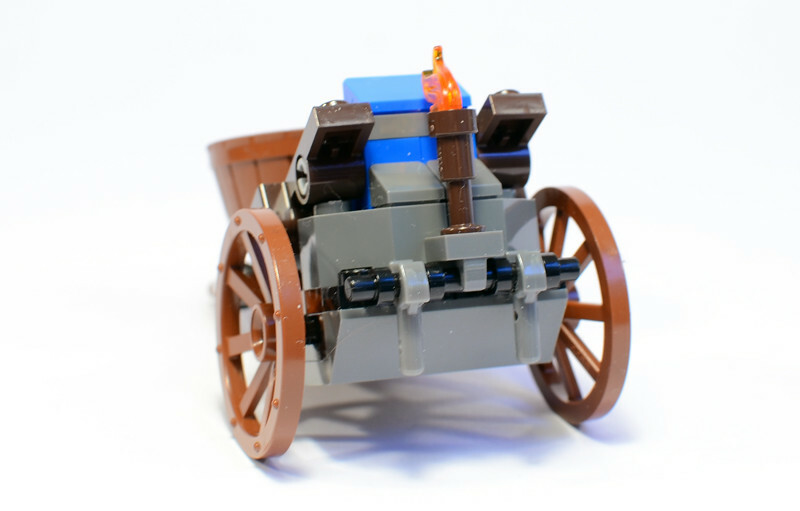 Next is a little double-catapult cart. 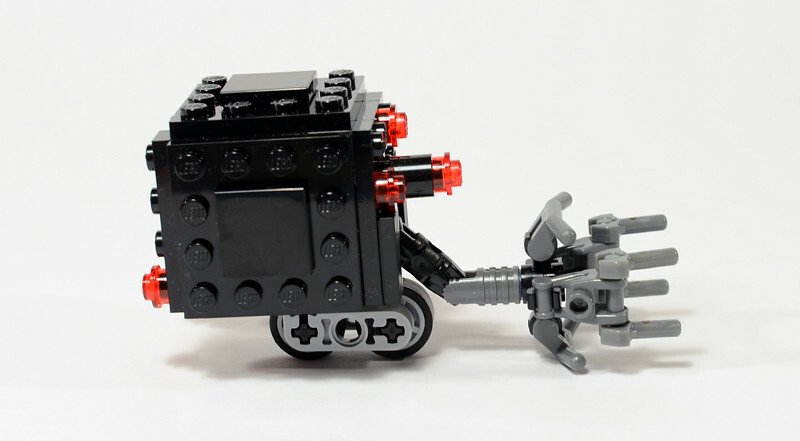 LEGO loves double-catapult carts. There have been so many of these over the years. This one is fine and unremarkable. 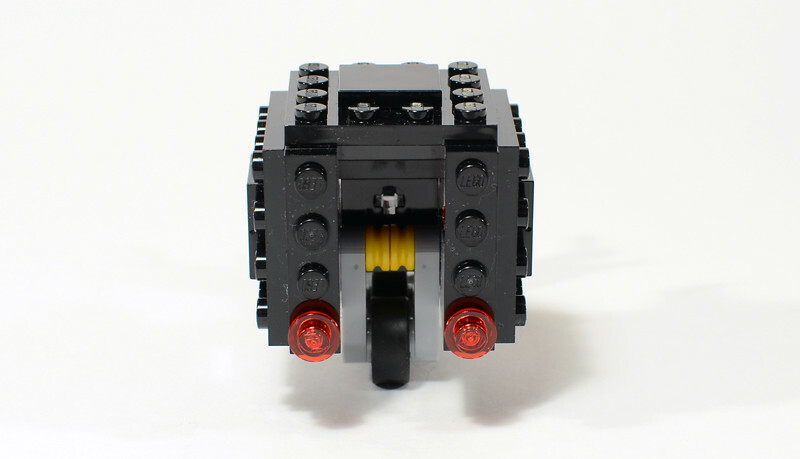 The front has some fire and places for a minifigure to drag it along. And now… the castle. For a castle wall, it's pretty nice. Plenty of detailing, more than in the current castle line I'd say. It's a lot of parts packed into a not-huge model. This really has to be part of a wall, or between two mountains, or something. Otherwise the door is a bit useless. Still, with the right imagination this makes a nice little outpost. There's just enough space for the knights to chill out, both in the towers and up top. The door has a locking mechanism, just a brick with technic pieces that slot through to lock it. Still, nice. So there you have it. Is this set better than what I initially expected? I don't know. The one model I'd want to display is the wall, but no surprise there. It's a nicely detailed wall. You'll have to be the judge if this set is worth getting for you. 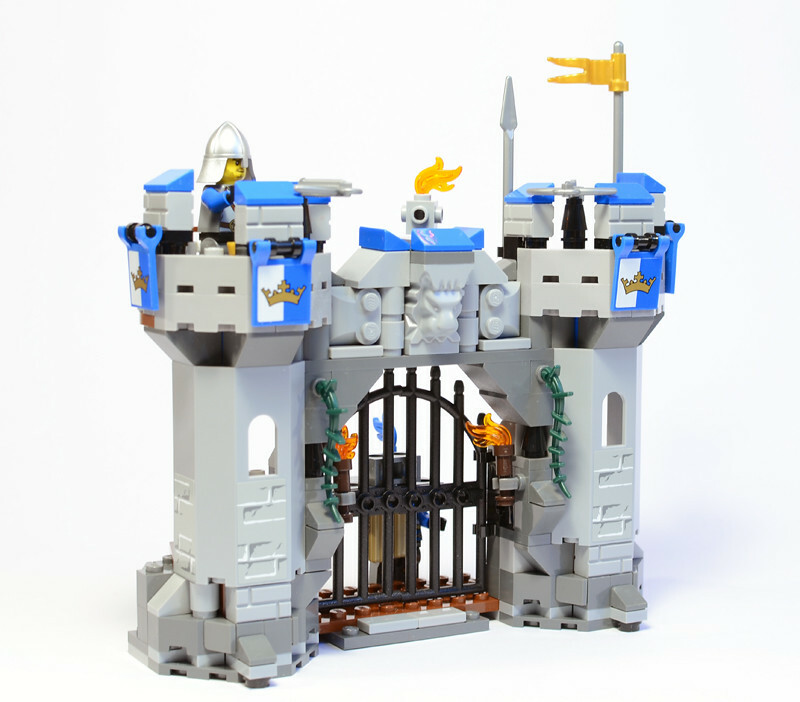 It does have a lot of parts, most of which are castle-y, so if you're into castle this isn't a terrible parts pack. 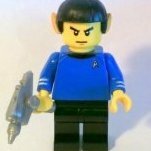 The minifigures certainly don't sell this one, so you'd have to like the wall model, be a completist on micromanagers, or want to parts to get this. More 2-in-1 reviews to come! Thanks for the review! How does the 2-in-1 function work? 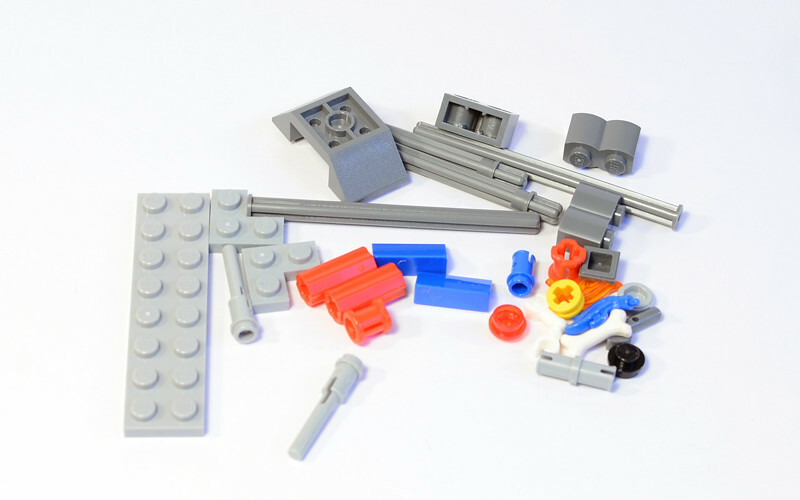 Does it fold from a gate into a spaceship or do you have to take it apart and reassemble it? Fantastic reviews, Clone O'Patra! Quick question with all these mysterious bits on the Micro Managers. Do they combine, like a Power Rangers Megazoid? Oop, I did indeed post the wrong picture. Thanks for letting me know! Fixed now. You have to completely take it apart. Quick question with all these mysterious bits on the Micro Managers. Do they combine, like a Power Rangers Megazoid? They do not, or at least, none of these sets says anything about them doing that in the instructions. 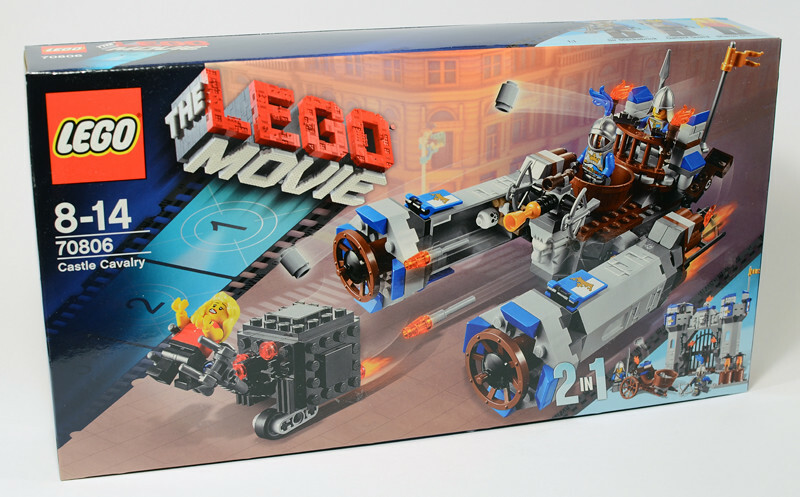 I may make this my first pick up from the Lego Movie collection. 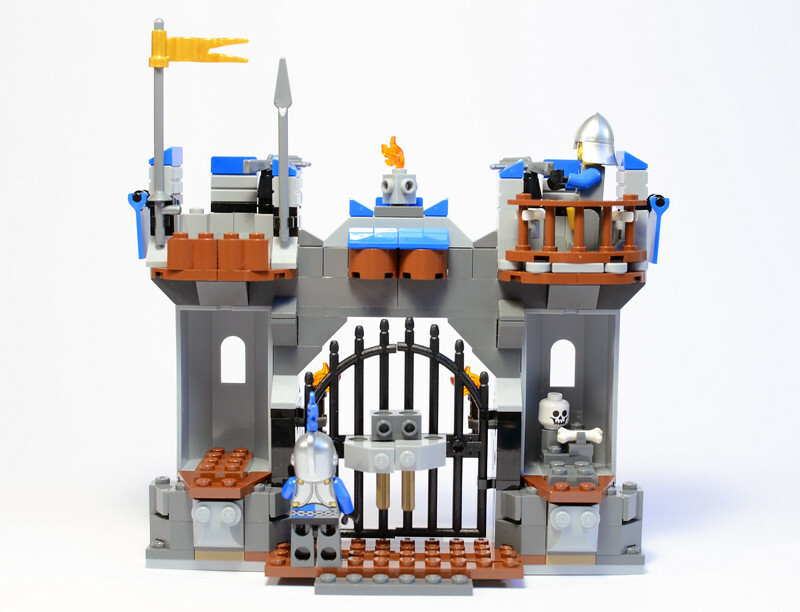 I'll use this as a parts pack to help me make a large Castle MOC. I have been on the fence on this set. I would have bought it for the Loins Head brick but not for $30. 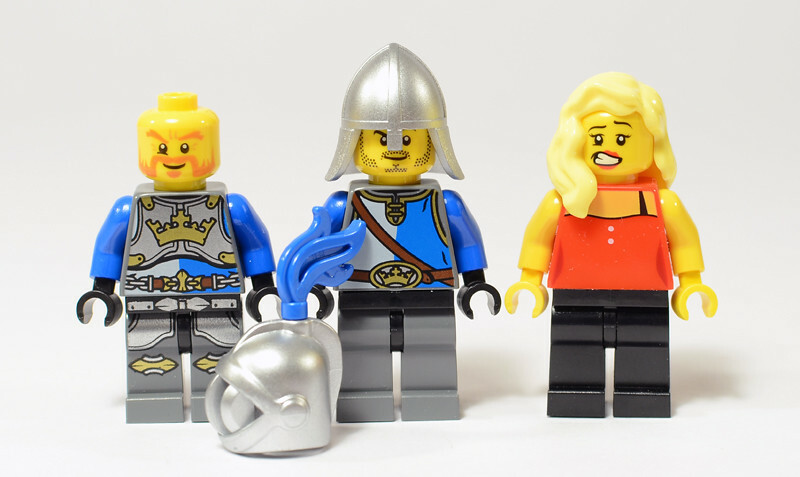 The issue is that the minifigures are mostly generic. 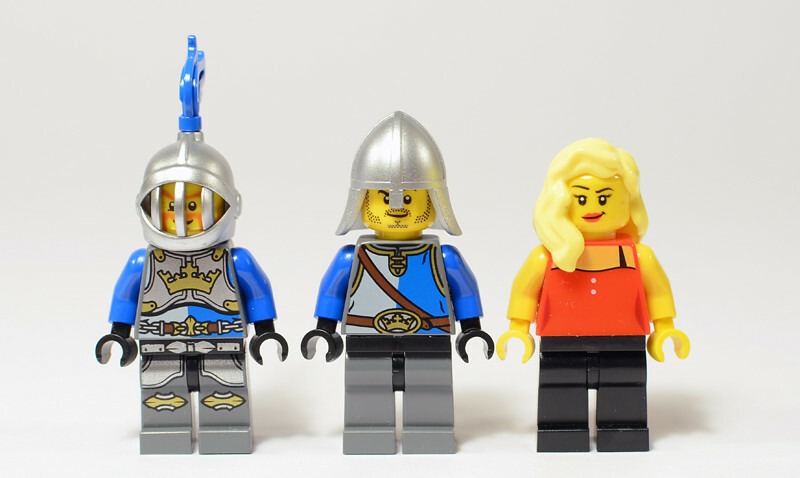 I like the look of the minifigures in almost all the other sets. Even the town lady in this set looks generic. If I find it for $10 off on clearance I might buy too. Thanks for the review Clone O Patra. A nice set. I especially like the micromanager. Great review. I am surprised about how good the wall looks. As for the pod, I find it so unbelievable. It looks like it is made of stone... I fail to see how it can fly. A very useful review. Thanks, Clone O'Patra. The barbican is well designed but not worth the £25 asking price. I'll only consider it if I can get it for 40%+ off. I never understand the amount of whining I see about flick-fire missiles. They work all right for a projectile that lacks any kind of specialized launcher, and are incredibly unobtrusive if you don't have any interest in firing them. 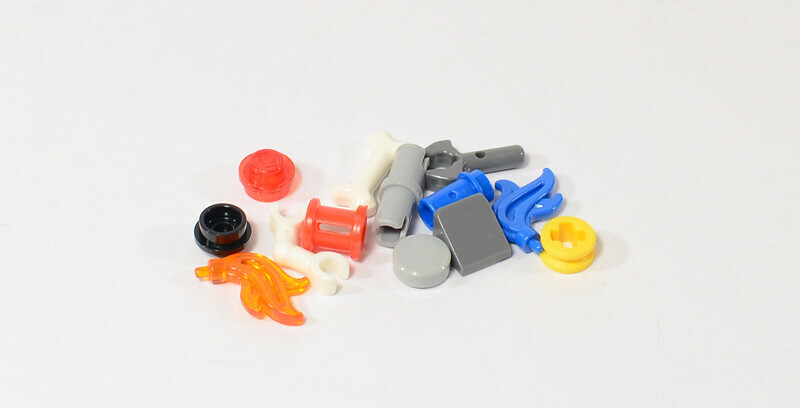 They make great building elements, add barely a thing to the cost of a model, and are easy to swap with basic Technic pins if you're really and truly unable to tolerate them. All things considered, they're probably one of the LEGO Group's best projectile designs, certainly a lot better than rubbish like this disk shooter (which tends to empty its ammo with the slightest tilt and is near impossible to integrate into a model without it sticking out like a sore thumb), or this ugly and asymmetrical shooter (which was still hard to integrate, could only fire this specialized projectile element, and was about as feeble as a flick-fire when it came to launching distance). Anyway, both versions of this model look gorgeous. The air intakes for the engines of the flying machine are amazingly clever, as is the placement of the curved railing for the catapult platform. The main gun is also quite elegant. 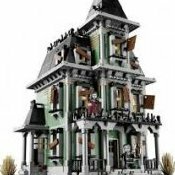 As for the "normal" build, it has the aesthetics of the new Castle theme but also some of the detailed stone foundations we've gotten used to in themes like the Lord of the Rings. It's also got some lovely textures above the gate, a nice locking mechanism for the gate itself, and a nice distribution of colors, with a warm brown interior and cold grey exterior. 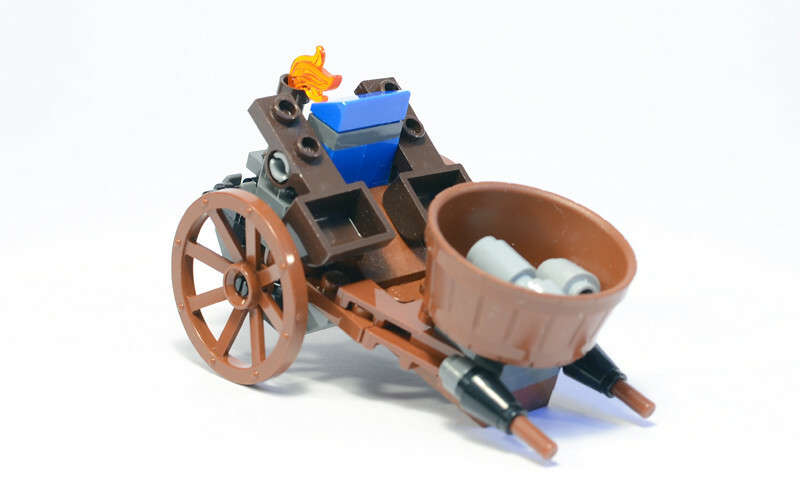 The catapult cart is quite nice for its size. 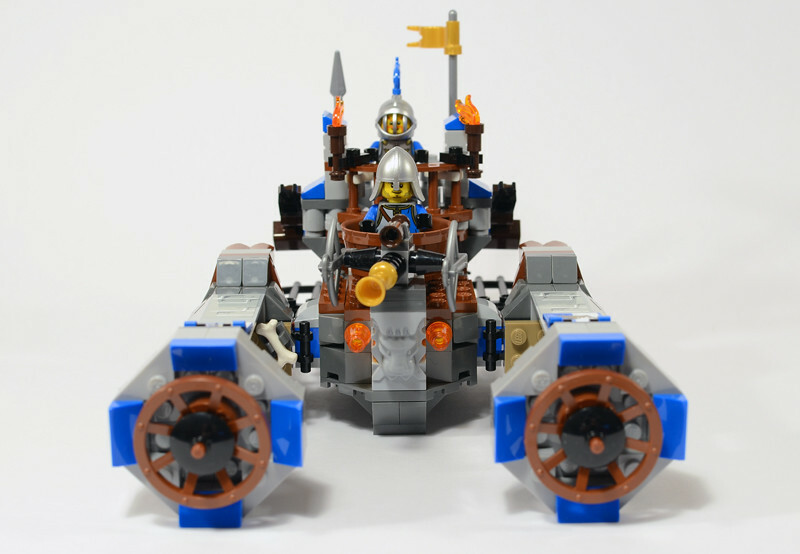 Much nicer shaping than many of the catapult carts I'm used to from the 90s, and much more historic-looking than the little flick-fire ballistas that are sometimes included in today's Castle sets. The little lanterns aren't bad either. My main criticism is that with just the slightest changes (a vertical stabilizer of some kind and some side fins), the "flying machine" mode could have qualified as a Vic Viper! That feels like a missed opportunity. Hmmmm, nice review cloney. I'm not sold on this set either, it's just not one that I would get. Having said that I think younger kids well get a kick out of a flying castle wall! I STILL think your supposed to combine the micro mangers!!! Good review, the set itself is alright. I do like the seating arrangement on the flyer though. Hey, thanks for the review. What a bizarre set! I'm a little flabbergasted, and suspect you are as well? 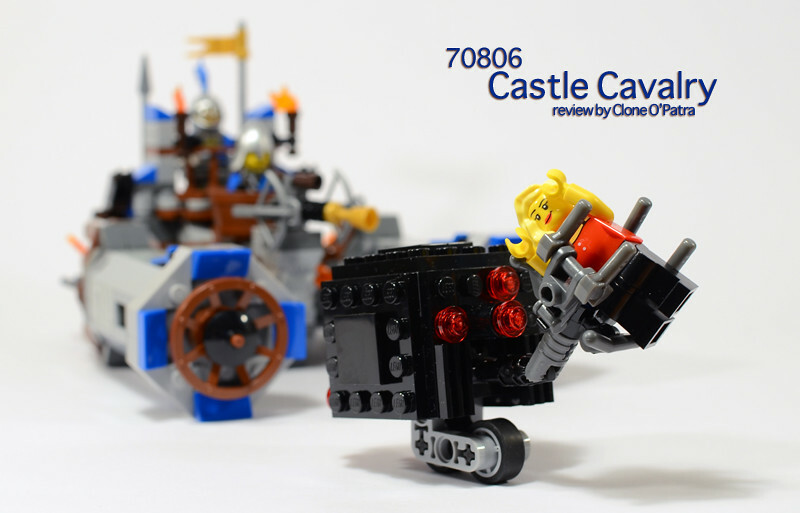 Another great review, another crappy LEGO Movie Set. 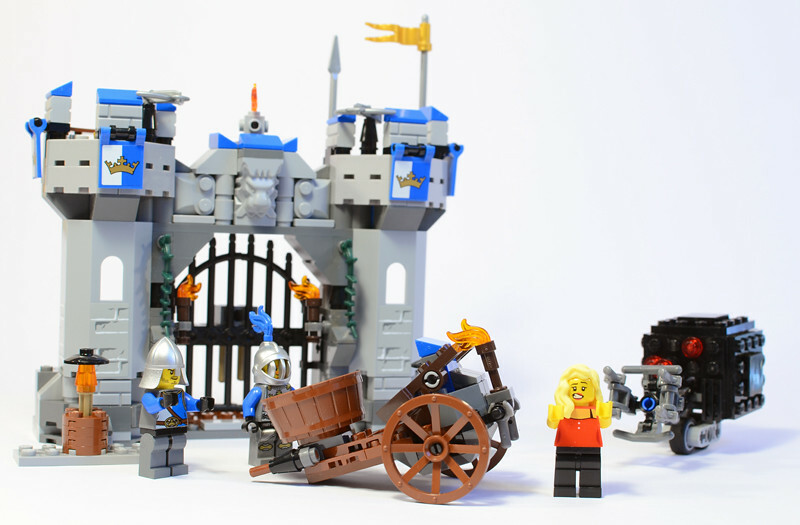 While a Castle collector, I still find this one to be one of the worst builds of this theme. Very lackluster and underwhelming. While the main model is bizarre, it is interesting in a thinking outside the box kind of way. I could see buying a few to make a complete wall or an even better Vic Viper looking spacecraft. But, Sir STACKABRICK??! The only Sir with bricks is ME. Outstanding. 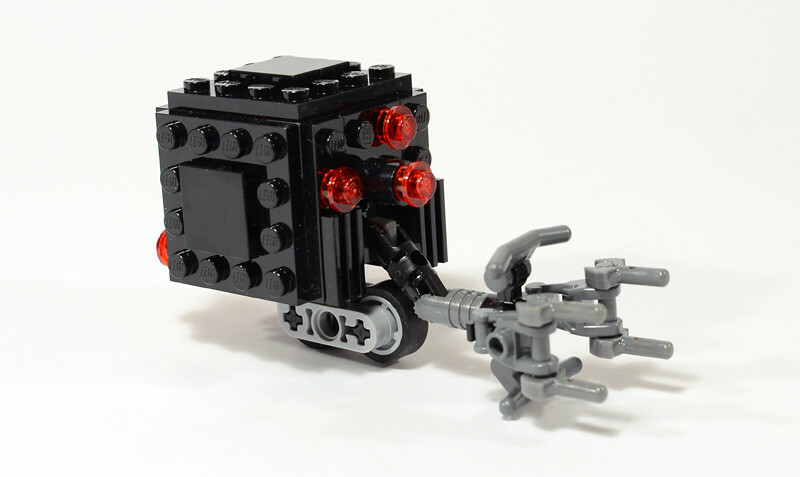 Possibly the best lego set I've ever seen. It is a little unclear from the photos and you do not seem to mention it so I am guessing the answer is no, but it does look in the initial photo on the front-page as though the Sharon Mini-figure has a pot belly, sort of looks that way from your pictures as well as the light focuses on that point, but there is no side on shot to see for sure? 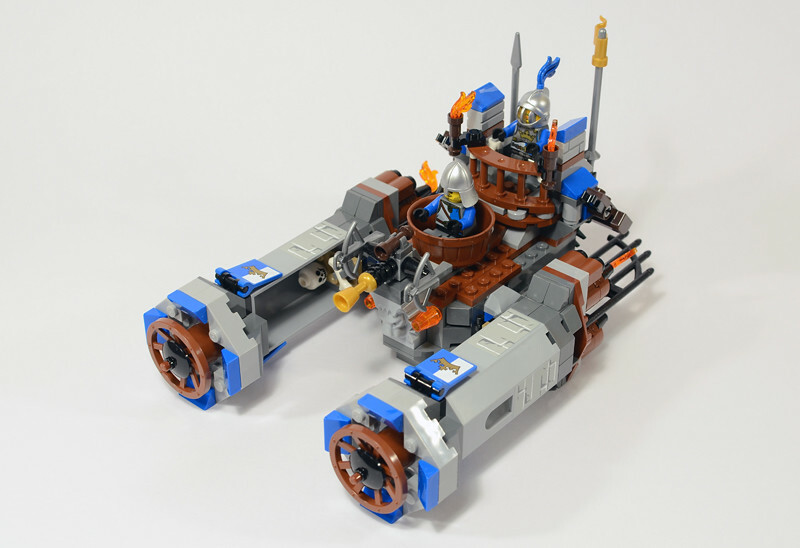 Given the great vehicle builds in the other sets, this one is kind of dull. 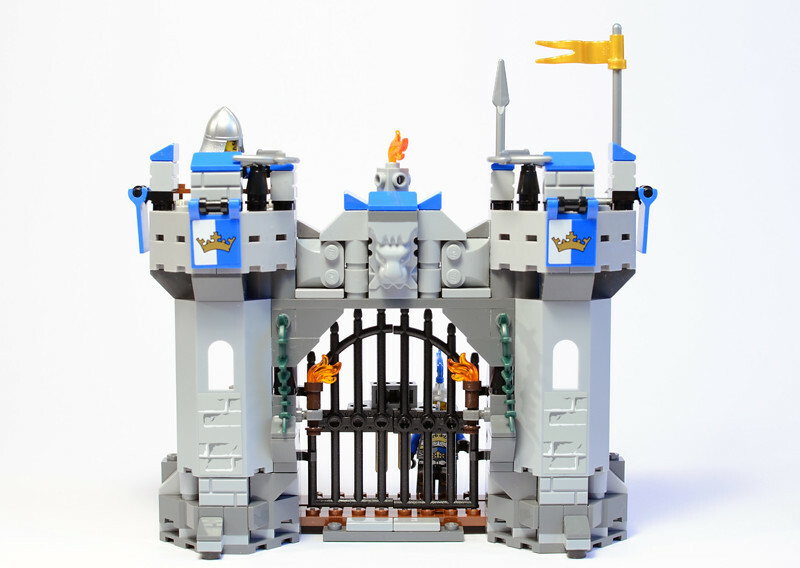 Probably a good parts buy for castle MOCs. Thanks for the great reviews. Very nice gate construction and a creative B-model (or is it the other way around?) But it's not compelling me to buy it. The review is a bit negative in my opinion, just because the reviewer doesn't like a theme, doesn't mean it's a bad set. A flying castle is weird, so it fits great into the movie. Thanks for reviewing! Erm… no. It's a regular minifigure. The title pic has a bit of a shadow on her from the Micromanager's hand. 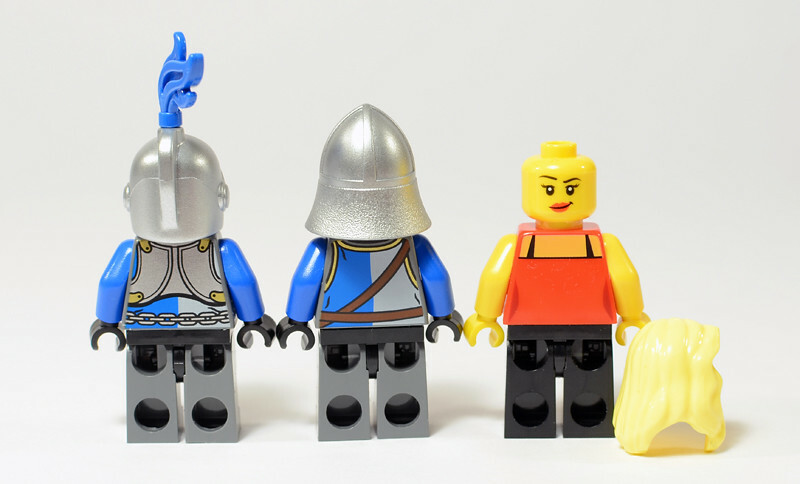 That would be supremely weird for LEGO to create a new potbelly torso mould, and for a female figure with shapely printing to boot! At the same time, I don't mean this response to seem like I'm 'defending myself' in any way. 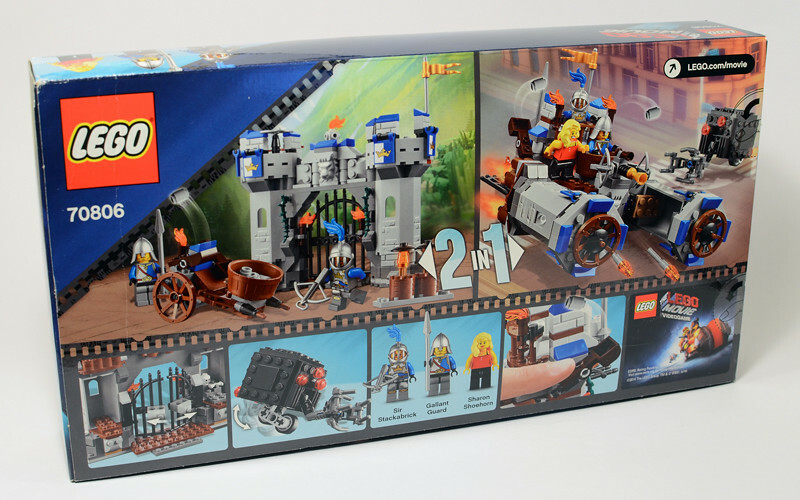 I did rather dislike some of these sets (though not this one in particular), and I have no problem saying so. I'm 100% biased in my reviews, and sometimes my opinion does get negative. I try to look at positives and negatives, but there will still be an over-riding opinion. 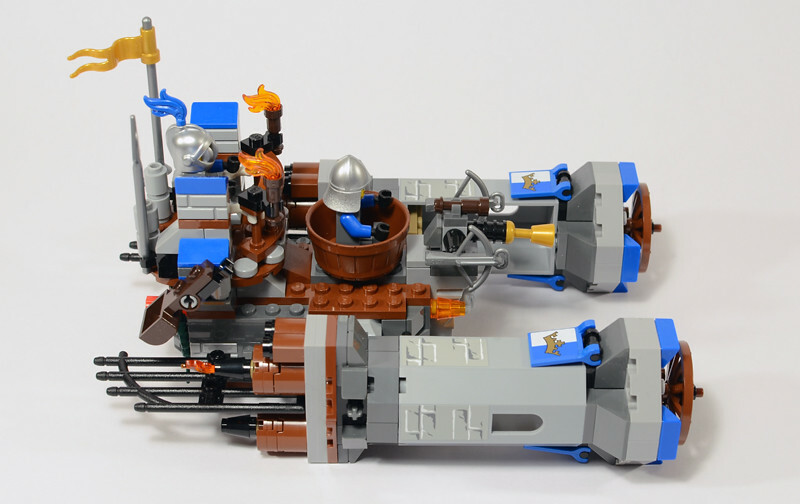 Not every LEGO set is a winner, but I try to show off a set from enough angles that you can make your own decision, which can certainly differ greatly from mine. Hopefully I'm doing that job well enough! Really cool review. Not sure if I'll get this one, though.